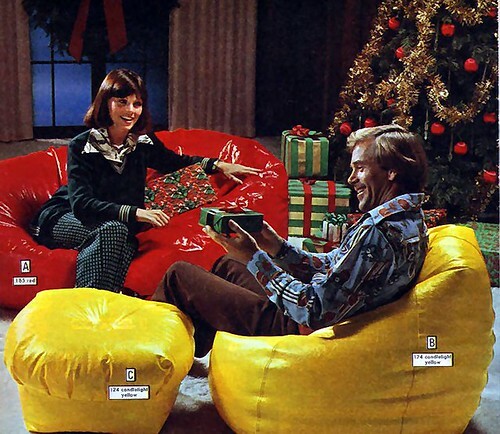 Here's a selection of things on many a Christmas wish list in the 1970's, starting with the omnipresent bean bag chair. These things are still around, but back in the day they were everywhere. 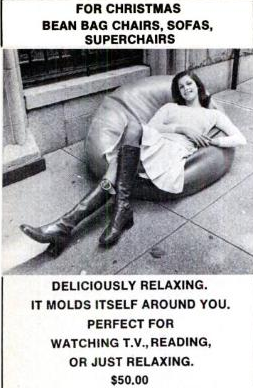 If I could choose one item to symbolize the decade, I might choose the bean bag chair. The ad below is from 1973 - the genesis of the phenom. Notice the price tag on this baby. That's $239.72 in today's dollars! By 1975, the price had dropped to around twenty bucks. Ahhhhh. Christmas in the '70s. It's all coming back to me now. 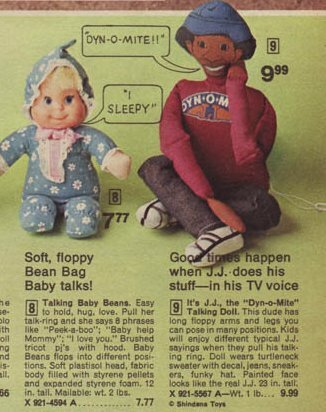 You can just hear the sounds of the J.J. doll shouting "DYN-O-MITE!" on a warm and cozy Christmas morn'. The "I sleepy" "DYN-O-MITE" combination must have been a real treat. Suffice it to say, electronic games weren't what they are today. Of course, ignorance is bliss and we thought this was a technological breakthrough. 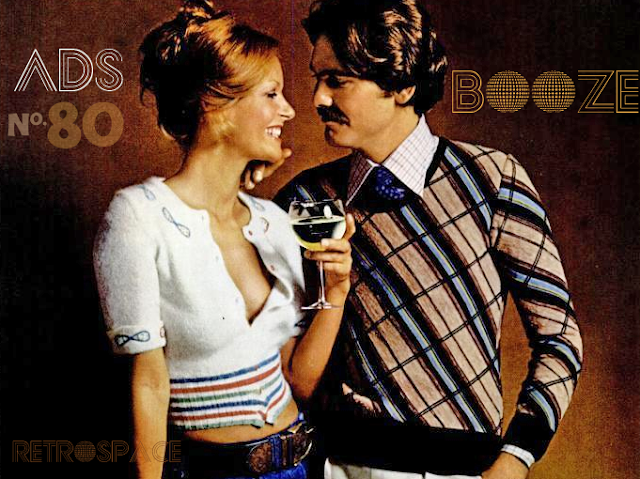 Mom and dad actually paid more for Pong than you'd pay for a Wii system today. 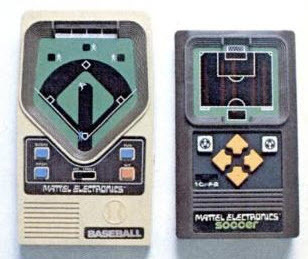 Before the Gameboy we had the Mattel sports games. I knew a lot of kids who had these; they were pretty damn popular. Realistic graphics would be light years away. Don't laugh too much, though - I imagine that the Wii and xbox games of today will also look just as lame and pathetic thirty years from now. 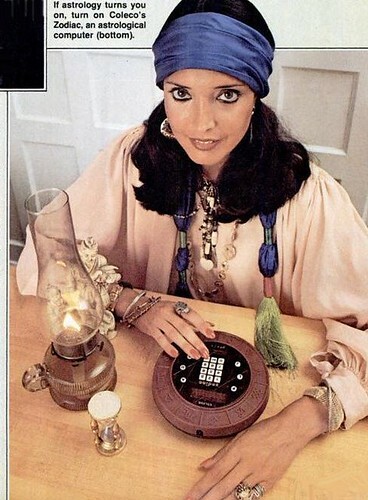 For some reason, astrology and the occult were huge in the 1970's. I've gone into this phenomenon in great detail in another post.... however, I don't recall ever seeing the electronic zodiac! Anyone out there have one of these? 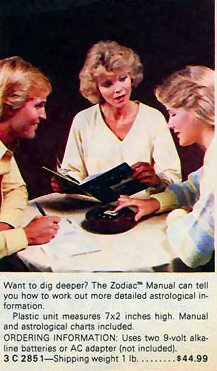 The ad reads "Whether you're a curious skeptic or a true believer, the Zodiac Astrology Computer can tell you which house your stars are moving into while you relax at home!" Attention all gypsies. You no longer need to use old-fashioned crystal balls and Tarot cards. 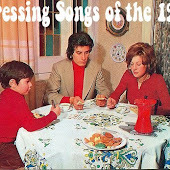 It's the 70's, and we use computerized fortune telling - get with the program! 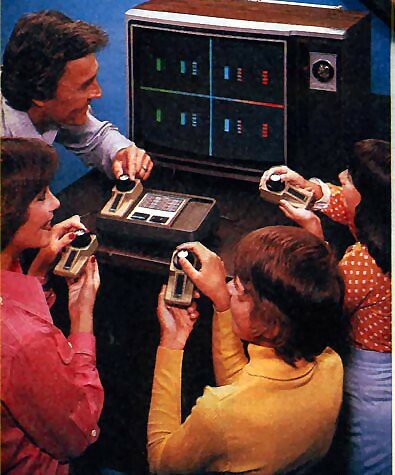 So, set up your kerosine lamp, tiny hourglass and your Coleco Zodiac and let the future unfold! 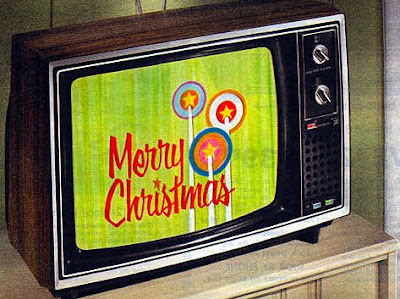 By 1975, televisions no longer looked like pieces of furniture. Where once upon a time they had ornate cabinetry and weighed seemingly thousands of pounds, now they were just plain TV's with no pretense of looking pretty. Except for rare specialty items, this trend would continue until the flatscreen which could be mounted on a wall, and "presto" we are back to pre-1975 where TV sets look visually pleasing again. The television pictured below from 1975 cost $629.99 - that's $2494.18 in today's dollars! Raise your hand if you had the action figures below. I'm sure there's thousands of you that did - they were all the rage among elementary school boys in the mid seventies. Looking at this ad brings back a lot of memories. 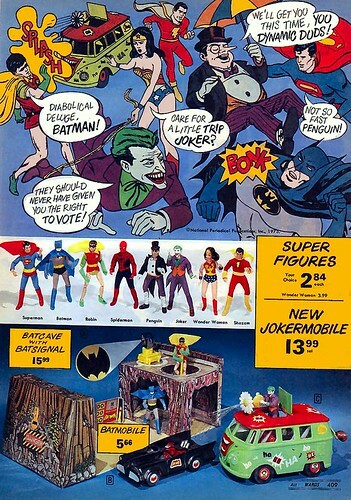 Holy marijuana, Batman, I'd forgotten that Joker had a hippie VW bus!... and is the Joker really saying that we should have never given women the right to vote? How weird and out of character - almost as if the illustrator was letting out some his negative personal feelings towards women! Also take note that Captain Marvel is stuck in the background doing nothing. What's up with that? 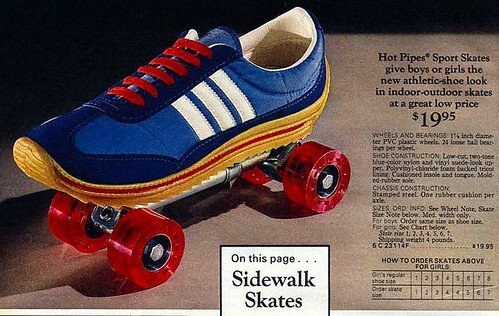 If you were between the ages of 7 and 17 during the 1970's, it's a sure bet a pair of sidewalk roller skates were waiting for you under the tree. I had some and they were painful. Rollerblades have ankle support and well designed weight distribution. Not the "Hot Pipes". Oh, no. Thank God your tendons and ligaments are flexible when you're young, because your ankles took a beating in these things. Whew! I'll stop here. I haven't even mentioned the Spyrograph or Lite-Brite, but I need to call it a day before this post turns into a book. Maybe I'll do a part 2 later. Until then, Gilligan out. 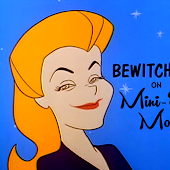 I generally don't go to other people's blogs and post a link to mine, but I really do think you'll enjoy what I found and posted today. 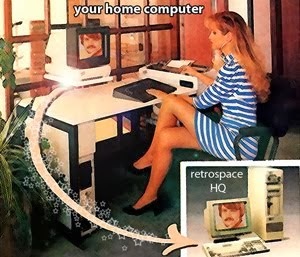 It just has "Retrospace" written all over it and you can wipe it off with a sponge. Yes! I want a post on Spyrograph and Lite-Brite! I remember desperately wanting a bean bag. Then, when I eventually got one, I realised how bloody uncomfortable it was. Gah! Man I miss my bean bag chair. It was lime green and made of Naugahyde. When ploped down into ( You really couldn't sit down, you ploped down) air trapped in it would hiss out as it deflated. After one of the seams split a stream of small Styrofoam balls would shoot out creating a mini blizzard. We thought that was cool. My mother thought otherwise. With great joy my mother threw this wonderful icon of 70's culture in the trash. Now that the Nauga has gone extinct (some say they are still a few living on a ranch in Stoughton,Wisconsin) I doubt we'll ever see the bean bag chair make a comeback. That's sad, they were kinda cool. Great comments from everyone. I should've also mentioned that Ron Popeil (Ronco) was in full effect around Christmastime. Who didn't want a Mr. Microphone? A Chirping Bird Ball ornament!! They were these silver colored Christmas ornaments... rather large actually, which you would plug in and they would emit the sound of a bird chirping!!! We had one, and I used to love that thing!! 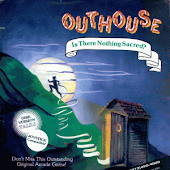 But, in retrospect, it seems like one of those '70s oddities, like 8-track tapes and the AMC Pacer!! Why anyone would want a Christmas ornament that chirped is a curious question, but I did love it. It makes me wonder: how much of those '70s-era "special brownies" did one have to ingest to have thought up this idea??!! Now you know why i keep an eye on this website so much!